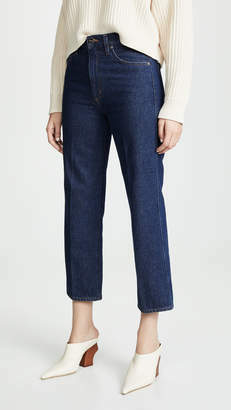 True to their name, Goldsign's 'The Curve' jeans are cut with a gentle arc through each tapered leg which is so flattering. 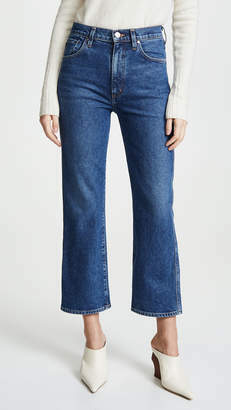 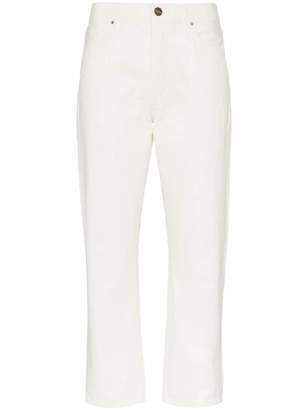 They sit high on the waist and have a classic five-pocket construction and cropped hem. 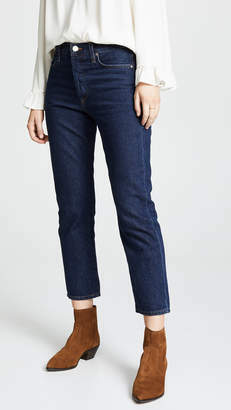 The inky black wash will go with pretty much anything in your wardrobe, but we love them teamed with a white top and the label's denim jacket.